Proactive Background Screening or Face the Media Onslaught? You choose. 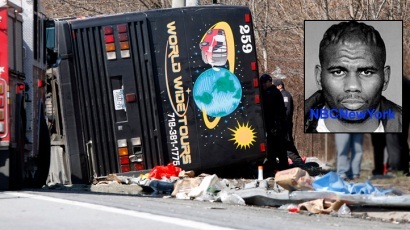 Not to be opportunists but the recent bus accident in New York is salient example of what can happen to a company when an employee is implicated negatively and there is loss of life. When there is even the most remote chance that someone acted irresponsibly, or worse, failed to act, the rush to judgment is all but inevitable. Equally predictable is the cryptic quotation from an unnamed “inside” source that seems to say something germane, but really acts as accelerant to the already salacious story. What risk manager wouldn’t like to tell the media relations department that, “In addition to following the applicable law, we have a proactive program that checks the motor vehicle and criminal records of our entire driver population on a monthly basis”? Does that sound different than company “declined repeated requests to comment on the driver’s history and its hiring procedures”? I’m probably biased as a background screening guy not a PR professional, but the first message sounds better to my ears. Interested in ongoing criminal and DMV monitoring for your drivers? Give me a ring at (866) 276-6161. Posted by: Michael Gaul, VP, Business Development.